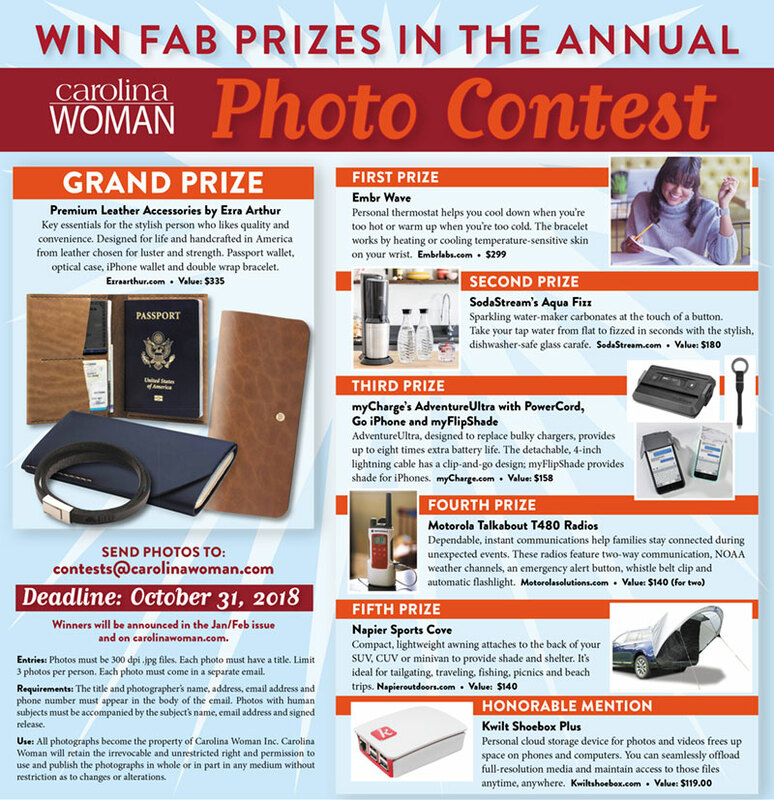 Eligibility: The contest is open to any Carolina Woman reader. Entries: Photos must be 300 dpi .jpg files. Each photo must have a title. Limit 3 photos per person. Each photo must come in a separate email. Requirements:The title and photographer’s name, address, email address and phone number must appear in the body of the email. Photos with human subjects must be accompanied by the subject’s name, email address and signed release. Use: All photographs become the property of Carolina Woman Inc. Carolina Woman will retain the irrevocable and unrestricted right and permission to use and publish the photographs in whole or in part in any medium without restriction as to changes or alterations.